For beginners who just want to take care of ducks, it is better for you to pet a baby ducks or young ducks. That’s because you can monitor over their growth and basically it can built the stickiness between you and the duck. Beside, during the time flies both you and your duck can be close each other and it would be easier to getting used. Even the treatment for baby or young duck is more complicated than the older because of their weakness, literally if you can prove and care it well it would be great and become your precious experience. And for your bonus, the baby duck is still cutie and it is suitable for you who really love for something like that. Here are some simple steps to take care of ducks for beginners. First of all, all you can do for your ducks are prepare the cage. For you beginners who really put baby ducks as your pet you can place them over something like plastic container or big aquarium. The strong box of cardboard are can also your next option to make a cage. Make sure that the box that you choose is must be tight. That’s because ducks needs warm temperature so don’t using the box which has many holes over the box. After that, use the old towel which is unused by you as their base cage. Please, don’t using paper or newspaper or another slippery ingredients. Actually the baby duck can’t walk properly yet so if you use slippery ingredients as the base, your ducks would be hard to walk or just stand. As mentioned before, ducks need warm temperature. As their heater you can install the lamp on the top of their cage. As beginning, use the 100 watt light bulb. This light bulb usually use for a newborn ducks which is enough to warm them. Make sure that there is space that is the most far of the cage which un-reach by lamp. This area used for cooling down their body if they needed. The point when you install the lamp is made sure to don’t install the lamp too close with the ducks. The heat from the lamp will make ducks over-heating and moreover burned. If you used the black cage that not too tall, lift the lamp with a stand to make it more far. The heat of the lamp should change during the duck’s behavior. As we know that the duck is getting bigger, they are growth day by day. During their growth time, maybe the lamp or the heater isn’t needed anymore. And when the ducks are often to make a group under the lamp that means that the ducks are cold. By this situation you better put the lamp closer over the duck. And when the duck is spread in the whole cage and their breath is seems like hard, that means that they are hot so you must put the lamp little bit far from them. Put a small bowl which contained the drinking water. Don’t use the big or deeper bowl will make them drowned into the bowl. Usually, when the duck drinking they are also clean their nose or beak. So giving a deeper bowl isn’t safe for them. Change the bowl and clean it every day to avoid some disease attacked the ducks. Talk about food, you can give yolk for the baby duck. Usually the baby duck which won’t to eating because the food is too big and hard to be eat. So if you find this case, you better add some water over the food to make it easier to eat. After 10 days, the baby duck begin to getting used to eat the pallet food. The pallet food as we know contained some nutrition which same as powder food but the size is bigger. And when the duck is sixteen weeks old, you can give them the adult duck food. Don’t feed your duck with another food duck or human food like bread. Even your duck loves some kind of food like bread, still that food isn’t compatible for them. The baby duck can eat fruit which cut into pieces but make sure that their main food is duck food. Don’t give the chicken pallet for your duck because the nutrition isn’t same with what duck needed. And the last, don’t feed the duck with something which contained medicine because it would stimulate some system disorder. As we know the habit of the duck is swimming. To not erase their natural habit even they are as our pet, we need to teach them how to swim. Naturally the baby duck can learning how to swim a day after come out the cracked but still don’t let them swim alone. The body of newborn duck is still soft and not waterproof and their body is still weak. To facilitate their natural habit, you can make a small pool which made from used paint tray. This used paint tray is a smart choice because the shape isn’t deeper and it is like something lower so the baby duck can enter or out safely. Even the pool is safe, don’t let they swim too long because it can stimulate for flu. Put the ducks straightly on their cage to help them warmth their body. And when they are adult, let them swim without any help. That’s because when they are grow adult, their feather are totally waterproof so you can let them swim without any monitor. Usually their waterproof feathers will comes when they are 9-12 weeks old and depend on the kind. Don’t let the baby ducks swim alone together with older duck. The older duck may kills or drowned the baby duck. So by this case, don’t let the baby duck swim alone and if you needed separate the baby to their own pool. The duck moreover the baby can be prey some predators. You can let the duck after it getting older. If you pet a baby duck in garage or some space outside the home, make sure to make it away from another animal like wolves, foxes, and birds of prey. If you pet the baby duck inside the home, please take it away from dog or cat which can be danger for them. 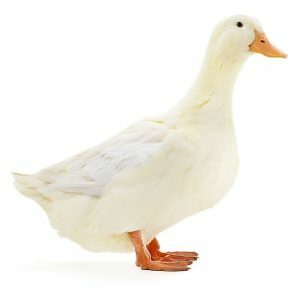 After the duck is getting older until the cage isn’t enough, take the ducks to the dog cage or container which has door. Feed the older dog and let them spend the time with swim and plays water everyday.